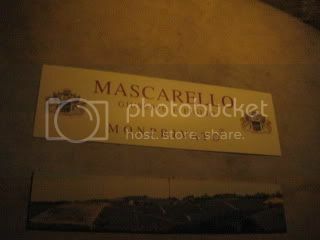 Our last appointment of Monday was with Mauro Mascarello. 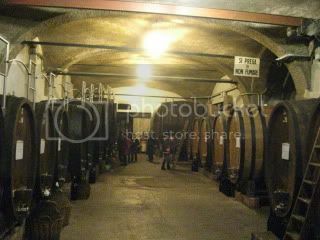 We visited their cantina in Monchiero (just south of Barolo commune). 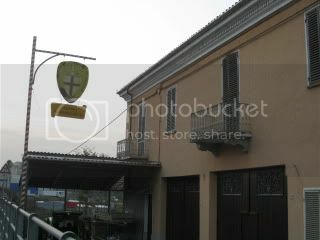 Their estate is situated in Castiglione Falletto. 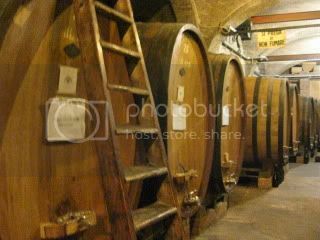 They make wines from Castiglione Falletto and Monforte d’Alba communes. We met Maria Teresa there. 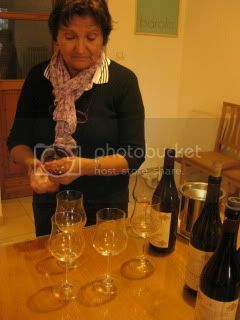 She gave us a tour to their cellar, then let us taste a wide range of their wines in the guest tasting room. 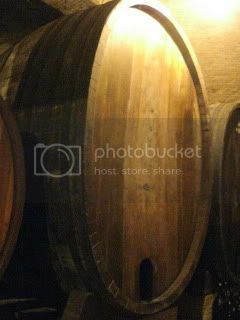 2006 Barbera d’Alba, “Santo Stefano di Perno”…35-year-old vines. 2007 Barolo, Santo Stefano di Perno…from Monforte d’Alba. More clay soil. 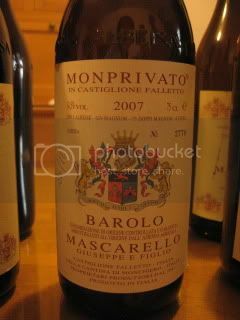 2007 Barolo, Monprivato…Castiglione Falleto. Limestone soil. 65-75 year-old vines. Some are over 100-year-old. 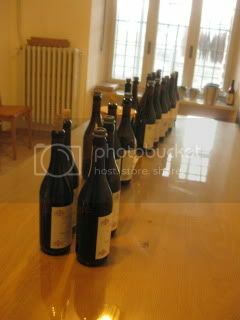 2006 Barolo, Villero…more classic vintage than 07. 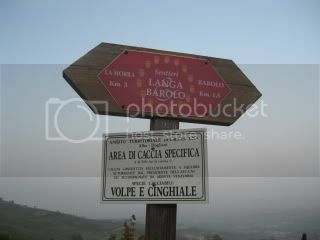 2006 Barolo, Santo Stefano di Perno. 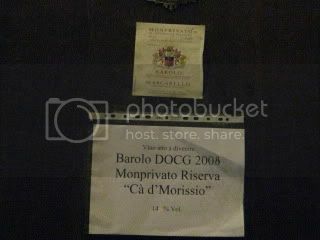 2003 Barolo, Monprivato, “Ca d’Morissio”…100% Michet clone (very tight-bunch clone). Only made from the best grapes in the outstanding vintages. Great tasting, and so much learning.